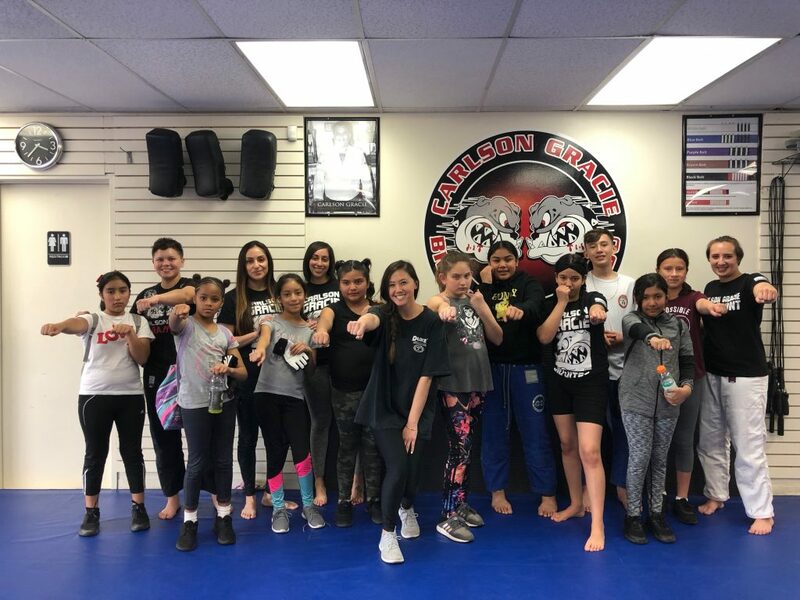 This past Saturday, our 5th grade girls in our BLOOM program, a social-emotional program to combat bullying in middle school for girls, went to a Brazilian Jiu-Jitsu class at Carlson Gracie Paramount. The gym donated gloves as well as the class. The girls were hesitant to try martial arts but all came out with smiles on their faces and an interest in trying it again.